Let’s just get the supportive argument of ‘if it’s adjusted correctly then they are a great tool in the toolbox’ argument. I don’t care about the people who use them sparingly. I don’t care about the people who use them correctly (and sparingly). There! We’ve now eliminated the ‘exceptions to the rule’ 5% and we can move onto the truth of 95% of the martingale use around the globe. The intended purpose of this little piece of leather was to prevent the rider from getting smacked in the face by the horse’s poll or upper neck. 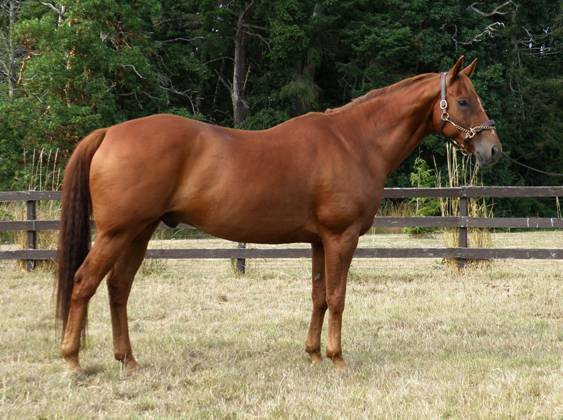 For that situation to occur, the horse has to either have really lost its balance, the horse has to have some severe behavior issue in the moment, or the horse has to have a ewe neck, be muscled horribly, and ridden on 6” of rein. A secondary outcome of sporting a martingale, that I believe is what people really use them for, is to prevent the horse from being able to evade the boisterous rider hand. You could also just call it poor training and poor riding; your choice. This is one way to adjust stride and get in the right number for the line, problem is it’s not a long term fix. I’m sure this team is working on the half halt from the seat as a rebalancing tool (and rotating that leg from the hip socket so the heel (spur) doesn’t inadvertently pinch the horse), then they’ll be ditching the martingale – I’m sure. There’s no doubt this horse is being pulled around the barrel by his face. He’s come into the barrel with too much speed (too much on his forehand) and got in too deep. The rider now cranks on his face to try and reduce the circuit around the backside of the barrel. The horse has no choice but to hollow and cross his jaw and gape in an attempt to relieve the pressure on his tongue. Thank goodness for that martingale! There’s just nothing better than setting a horse up to get the right distance to the next fence by hauling on his face. Bravo! Keep your eye on the ball Princes! Those martingales and draw reins will make sure the horses can’t evade your hand even if they are all over their forehands, hollow, and trying to stay on their feet. Prince William gets a few extra bonus points for his horse’s milder protest (when the picture was taken he’d just released the hand brake). Yeah, yeah, that’s going to chew up the polo field. The fact remains, as long as a horse is on its forehand, it’s not going to want to stop or be easy to stop. Its balance and weight is forward and down like that snowball rolling down a hill. Putting something with more bite in its mouth doesn’t help the horse readjust its balance and weight back onto its haunches, no matter how educated the rider’s hands. It’s more likely to teach the horse how to evade contact, brace through its jaw, poll, throat, neck, shoulder, back and loin. And it’s more likely to make the horse hard-mouthed. The proper way to slow a horse down quickly is to engage the haunch. Funny thing about doing that – there’d be no chance of the rider getting smacked in the face by the back of the horse’s head, therefore no martingale would be required. The horse never lies and neither does its body. Horses that regularly wear martingales, side reins, draw reins, or any of the other number of ‘put your head here’ apparatus can be picked out of a lineup by a blind man. Even if none of those artificial aids are used and only the rider’s hands are employed to place the horse’s head ‘here’, one can still identify that horse’s poor training and riding by the incorrect muscle patterns it will wear. 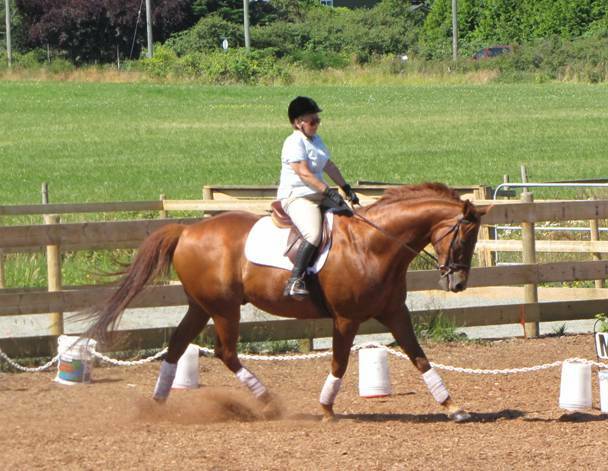 Zanhar made a significant change in how her horse was trained and ridden, and her horse shows the spectacular results of those improvements. Great job! *Side note: I’m heading off for a week’s vacation.